What's even more adorable than Ruby?. How about a teeny-tiny Ruby! Oh, and we've made them all very sweet and petite. You're going to fall in love with tiny prints all over again with Little Ruby. ~ Bonnie & Camille. 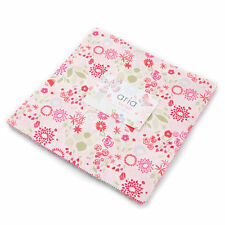 Aria ~ Layer Cake. by Kate Spain. We love to hear about your quilts and projects! The more we know about what you like and are working on, the better we can serve you. ~ Quilt Quality ~ 100% Cotton ~ Designer Collections ~. THE TREEHOUSE CLUB by Sweetwater. 1 Moda Layer Cake. This gorgeous collection by Brenda Riddle for Moda as released in 2017. By Corey Yoder for Moda - 29050LC Layer Cake. "Grab your coat and get your hat. Leave your worry on the door step. Sunnyside Up continues my love of a warm, happy palette featuring all of the colors of the rainbow. Prairie Grass ~ Layer Cake. ~ Prairie Grass ~. by Holly Taylor. We love to hear about your quilts and projects! The more we know about what you like and are working on, the better we can serve you. ~ Quilt Quality ~ 100% Cotton ~ Designer Collections ~. GOOD TIDINGS by Brenda Riddle. 1 Moda Layer Cake. This corner is far too cool for any map -- it's a magical land where cats wear bowties, bears juggle apples while squirrels are looking on. And when it rains, only the radish patch gets wet! Join in the fun -- it's just around the corner! MANDERLEY by Franny & Jane. 1 Moda Layer Cake. All three words perfectly describe Miss Scarlet, a collection of red and cream floral prints, paisleys, small calicoes, polka dots and plaids. While the prints and colors have the look and feel of well-loved antique fabrics, the simple color palette gives them a fresh, contemporary appeal. The size chart refers to fitting your machine (without the hardcase) through the front opening. (as opposed to fitting through the top opening). With the right quilt supplies, anyone can create beautiful quilts, table runners and other projects, no matter their skill level. Smitten by Bonnie & Camille, Moda Layer Cake 10" by 10" factory cut quilt squares. AccuQuilt Design Walls Embroidery Gifts Other Patterns/Books Precut Fabrics Sewing Machines/Parts Special Tools Thread Totes/Trolleys. This pretty collection by April Rosenthal for Moda was released in early 2016. This pretty collection by Studio M for Moda was released in 2014. This gorgeous collection by mother/daughter team - Lauren Jessi Jung for Moda was released in 2013. Chantilly by Joanna Figueroa of Fig Tree Quilts, Moda Layer Cake 10" by 10" factory cut quilt squares. The size chart refers to fitting your machine (without the hardcase) through the front opening. Sweet Violet by Jan Patek, Moda Layer Cake 10" by 10" factory cut quilt squares. AccuQuilt Design Walls Embroidery Gifts Other Patterns/Books Precut Fabrics Sewing Machines/Parts Special Tools Thread Totes/Trolleys. By Laundry Basket Quilts. Sweet Blend ~ Layer Cake. We love to hear about your quilts and projects! The more we know about what you like and are working on, the better we can serve you. ~ Sweet Blend ~. Later Alligator by Sandy Gervais, Moda Layer Cake 10" by 10" factory cut quilt squares. The size chart refers to fitting your machine (without the hardcase) through the front opening. (as opposed to fitting through the top opening). By A Quilting Life. Bright Sun ~ Layer Cake. We love to hear about your quilts and projects! The more we know about what you like and are working on, the better we can serve you. ~ Bright Sun ~. ~ Quilt Quality ~ 100% Cotton ~ Designer Collections ~. Guernsey ~ Layer Cake. ~ Guernsey ~. by Brenda Ridde. We love to hear about your quilts and projects! The more we know about what you like and are working on, the better we can serve you. ~ Quilt Quality ~ 100% Cotton ~ Designer Collections ~. By Jan Patek for Moda Fabrics. Designer: Jan Patek. Moda Sweet Violet Layer Cake. Fabric line / collection: Sweet Violet. Product type: Layer Cake. The first photo is the layer cake. By Bonnie & Camille. The Good Life ~ Layer Cake. We love to hear about your quilts and projects! The more we know about what you like and are working on, the better we can serve you. ~ The Good Life ~. 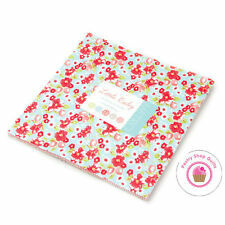 Cheeky by Urban Chiks, Moda Layer Cake 10" by 10" factory cut quilt squares. The size chart refers to fitting your machine (without the hardcase) through the front opening. (as opposed to fitting through the top opening). Moda Howl & Hound Layer Cake. Fabric line / collection: Howl & Hound. by Lydia Nelson for Moda Fabrics. Designer: Lydia Nelson. Product type: Layer Cake. The first photo is the layer cake. Strawberry Jam by Corey Yoder, Moda Layer Cake 10" by 10" factory cut quilt squares. AccuQuilt Design Walls Embroidery Gifts Other Patterns/Books Precut Fabrics Sewing Machines/Parts Special Tools Thread Totes/Trolleys. ARIA by KATE SPAIN. 1 Moda Layer Cake. LITTLE SNIPPETS by BONNIE & CAMILLE. 1 Moda Layer Cake. AccuQuilt Design Walls Embroidery Gifts Other Patterns/Books Precut Fabrics Sewing Machines/Parts Special Tools Thread Totes/Trolleys. With the right quilt supplies, anyone can create beautiful quilts, table runners and other projects, no matter their skill level. Farmhouse II ~ Layer Cake. ~ Farmhouse II ~. by Fig Tree Quilts. We love to hear about your quilts and projects! The more we know about what you like and are working on, the better we can serve you. We love to hear about your quilts and projects! The more we know about what you like and are working on, the better we can serve you. ~ Quilt Quality ~ 100% Cotton ~ Designer Collections ~. 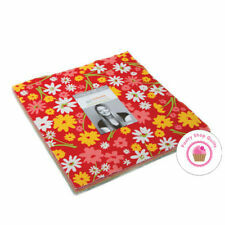 Fresh Off the Vine by Holly Taylor, Moda Layer Cake 10" by 10" factory cut quilt squares. The size chart refers to fitting your machine (without the hardcase) through the front opening. (as opposed to fitting through the top opening). We’ve mixed pretty florals, ditsy prints, posies and our favorite paisleys with stripes and diamonds to make a collection suited to any kind of quilt. ANN'S ARBOR Jelly Roll. By Corey Yoder for Moda Fabrics. Designer: Corey Yoder. Moda Sunnyside Up Layer Cake. Fabric line / collection: Sunnyside Up. Product type: Layer Cake. The first photo is the layer cake. By Robin Pickens for Moda - 48630LC Layer Cake. While the adults saw them as annoying weeds, we saw simple, happy flowers that made charming bouquets, could be twisted into necklaces and rubbed onto our skin to make a lovely golden color. By Deb Strain for Moda Fabrics. Designer: Deb Strain. Moda Love Grows Layer Cake. Fabric line / collection: Love Grows. Product type: Layer Cake. The first photo is the layer cake. 1 Moda Layer Cake. WINTER VILLAGE by Basic Grey. 42 10" x 10" squares. ~Moda ~Morris Holiday. Nuno by Debbie Maddy, Moda Layer Cake 10" by 10" factory cut quilt squares. The size chart refers to fitting your machine (without the hardcase) through the front opening. (as opposed to fitting through the top opening). Walkabout by Sherri & Chelsi, Moda Layer Cake 10" by 10" factory cut quilt squares. Product: #9228MA-2XL / Exterior: 28 " L x 18 " H x 14 " D / Interior: 27 " L x 17" H x 14" D / Front access: 25 " L x 16 " H / Top access: 23 " L x 10 " D.
GUERNSEY by BRENDA RIDDLE. 1 Moda Layer Cake.